In 2007 Arvind Aradhya was the first winner of Scholar Hunt: UK, an Indian national reality TV show contest run by the news channel NDTV, winning a four-year scholarship to study engineering at the University of Warwick. 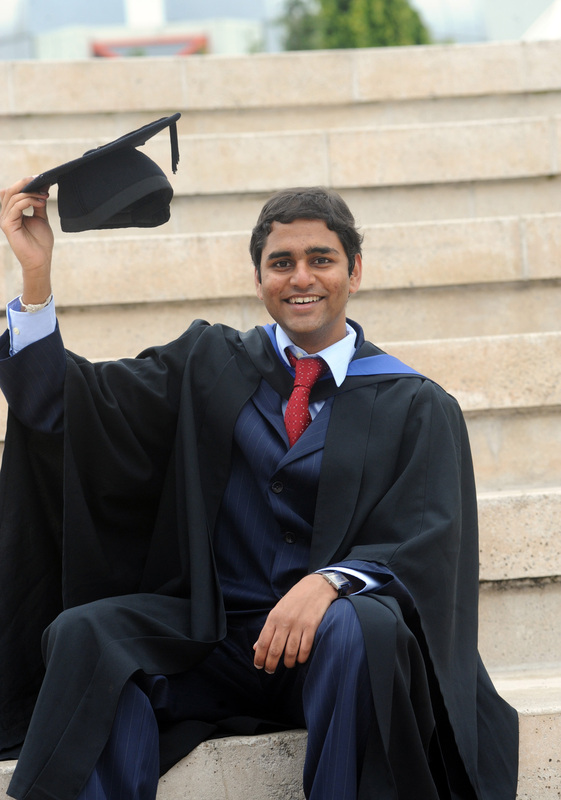 On Tuesday 19th July 2011 he graduated from Warwick and his next goal is the Indian space programme. Arvind, whose family currently live in Mumbai, beat 14,000 other hopefuls to the winning slot, after an online general knowledge quiz, engineering exams, a televised interview, a TV quiz and a practical ‘scrapheap challenge’. He was revealed as the winner on prime-time Indian TV on Saturday 18th August 2007). He received a full scholarship for his four years of study covering living and accommodation expenses as well as his course fees, all totalling around £80,000. Arvind says: “I feel very privileged to have won Scholar Hunt and now to have graduated from the University of Warwick. The TV show gave me the opportunity to study abroad at one of the UK’s most highly ranked universities. I hope to use my new MEng to win a role in the aviation and space industry with my ultimate aim being to become an astronaut”. Arvind can be contacted visa Peter Dunn - details below.